E-book formats also available (see below). "A very impressive book! The language takes me back to a Dr. Seuss’ books. The message is something every person could use to improve their quality of life. . . This reminds me of the joy of reading Dr. Seuss titles with the snappy language and rhyming. I enjoyed the stories and artwork." "Gives kids of all ages examples from A to Z of being good friends, preventing bullying and ways to build self-esteem in themselves and others." "What a wonderful book to teach young children. Children learn well by putting the story in rhyme." 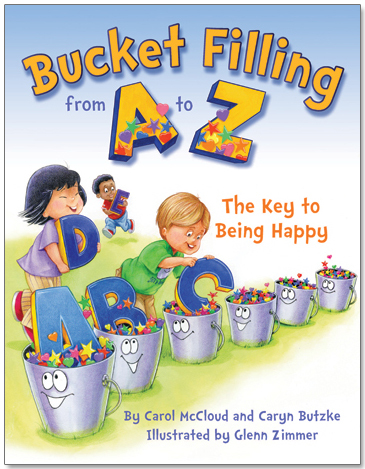 "Bucket Filling from A to Z has become one of my favorites and I will be glad to share it with our students!"